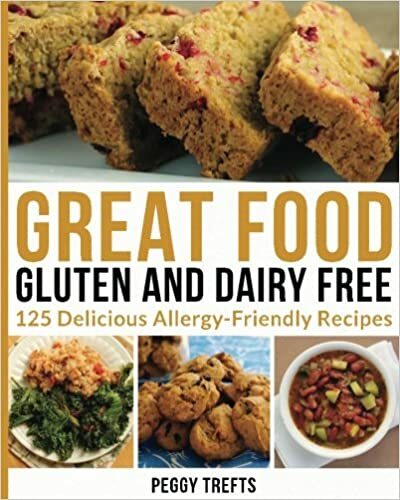 Great Food Gluten and Dairy Free, 125 Allergy-Friendly Recipes contains recipes from breakfasts, soups and casseroles, meat entrees', vegetables and sides, and sweet treats. All recipes are 100% free of gluten, dairy, soy, corn and refined sugars. Very limited use of eggs and nuts. All recipes are full of flavor and taste great! All recipes have been thoroughly tested and enjoyed by people of all ages. A book worth having in your cookbook collection!